For the third day in a row, heavy rain hit North Sinai governorate accompajnied by a noticeable drop in temperatures since early Tuesday morning, Al-Ahram Arabic website reported. The rain has affected sales of goods in markets as well the attendance of students in schools as cautious drivers slowed down traffic on main and side roads to avoid accidents. According to the weather forecast, North Sinai will witness a high of 25 degrees and a low of 17 degrees today. The governorate has taken nescessary precautions to deal with the heavy rains. No accidents have been reported so far. 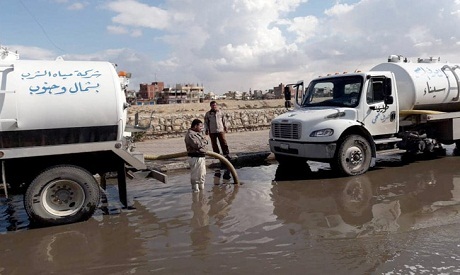 The city of Al-Arish in North Sinai has sent vacuum trucks to drain water from the streets since early Tuesday. According to Egypt's Meteorological authority, rain is expected to continue to fall in North and central Sinai on Wednesday and Thursday.